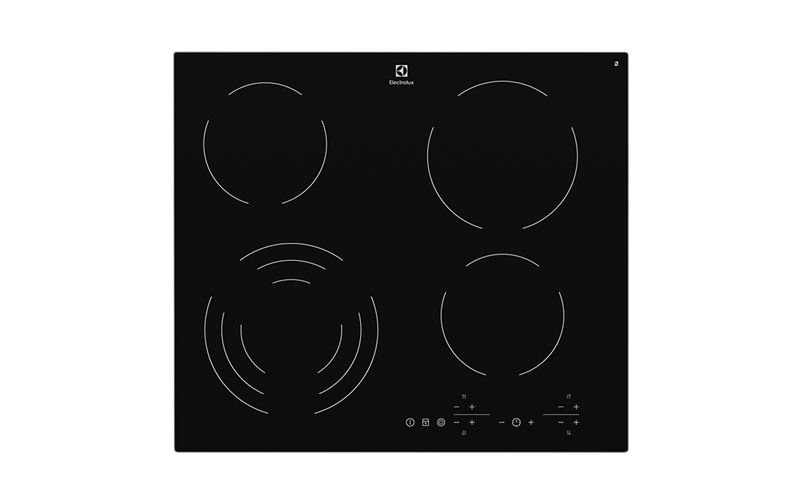 60cm 4 zone electric cooktop with touch controls is rated 4.8 out of 5 by 4. 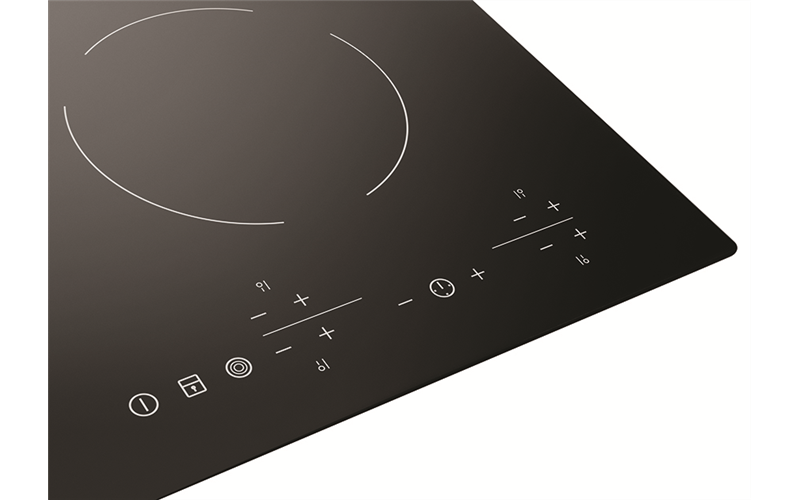 Designed for style and ease of use, the simple touch controls make it easy to control the heat and allow you to concentrate on preparing the perfect meal. The smooth and stylish black ceramic surface is tough and durable, yet also easy to maintain. A simple wipe and youre done. Plus, as it is a completely flat surface, cooking space is maximised. Enjoy supreme flexibility and control with every dish you create. In addition to the four cooking positions, one element is a triple zone cookplate, which gives you the flexibility of three variable hotplates in one. Rated 4 out of 5 by Andrew56 from Simple and fast I am very happy with how the stove performs. Simple controls. What we would benefit from is an accessory cover to protect the stove and keep bench space. Our oven is below the stove top and it was convenient to place hot trays on top of our old stove top and when we have piles of dishes. We have not been able to find any product in Australia. The only manufacturer is in the U.S. There is a need for it. Rated 5 out of 5 by Watergate7 from Love my new cooktop My new Electric cooktop has been connected in my new home so the kitchen has a beautiful sleek look! Rated 5 out of 5 by Love to cook from Cooks wonderful. Easy to Clean I bought this stove top about 2 months ago and could not be happier. The stove top is very easy to keep clean as there are no knobs to trap grease and dirt and as long as any spills are wiped up immediately there are no problems. I love that one of the hotplates has two additional rings that can be turned on as required for larger pans. I even find that the stove top heats up a lot quicker than my old stove top did. I am also happy that there is a keep warm function for all hotplates. Overall this stove top is fantastic and looks good in my kitchen. The price was also good from Appliances Online compared to other white good suppliers.